SUZHOU ACE CHEMICAL TECHNOLOGY CO., LTD. (ACECHEM) is a high-tech company driven by market and customer demands for agriculture services. Following through on the promise of “Your Crops, Our Care”, ACECHEM is committed to research and development, manufacturing and distribution of friendly agrochemical products with high efficiency, low toxicity and minimal residue. Raising farmers’ awareness about modern agriculture and organic farming, ACECHEM highlights the development and supplying of quality green products, technology and services for integrated solutions on crop protection. ACECHEM’s ultimate goal is to benefit farmers by providing high yield and quality agricultural products, along with sustainable experiences. Southeast Asia is gradually becoming known as a new engine of world economic growth, for its convenient regional advantage, excellent natural resources and climate conditions, stable agricultural foundations and increasingly open economies, and therefore attracts China’s agrochemical companies. With years of marketing operations and experience accumulation, ACECHEM fully understands the deep-seated needs of markets and customers (especially end-users) seeking resistance solutions and organic farming. 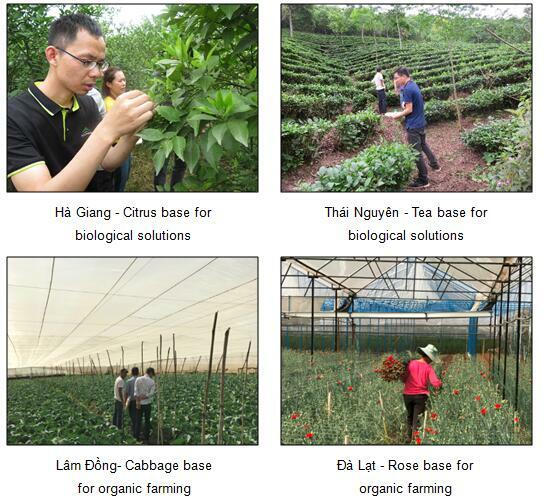 After hundreds of campaigns to visit different agrochemical organizations, including distributors, dealers, growers and agro-technical extension stations, ACECHEM has gradually formed corporate development pattern, entitled "Concentrate on resistance solutions and organic farming to inspire end-users’ demand through technical and service innovation", and continuously sought a concrete way of operating by transferring China’s crop protection practices and marketing experiences as a project package to the Southeast Asia market. Viet Nam has been appropriately selected as the first commissioning station. As a leading traditional agricultural country in Southeast Asia, Viet Nam is also an important point on the “Maritime Silk Road”, and located within ASEAN as the best springboard and most convenient access point for the entrance of China’s products. Viet Nam's agricultural production value accounts for approximately 22 % of its Gross Domestic Product (GDP). Its main crops are rice, corn, rubber, vegetables, fruit, and important crops, include tubers, coffee, cashew, sugar cane, beans, forest, peanut, tea, pepper, sesame, tobacco, flowers and others. The country's total agrochemical market value is approximately USD 1.3 billion in Viet Nam. However, disorganized market competition, homogeneous marketing strategy and differentiated application technology make the agrochemical business development more difficult to operate. Taking a 3-year business reframing and concentration, ACECHEM gradually worked out new sustainable business pattern through continuous practices and innovation. 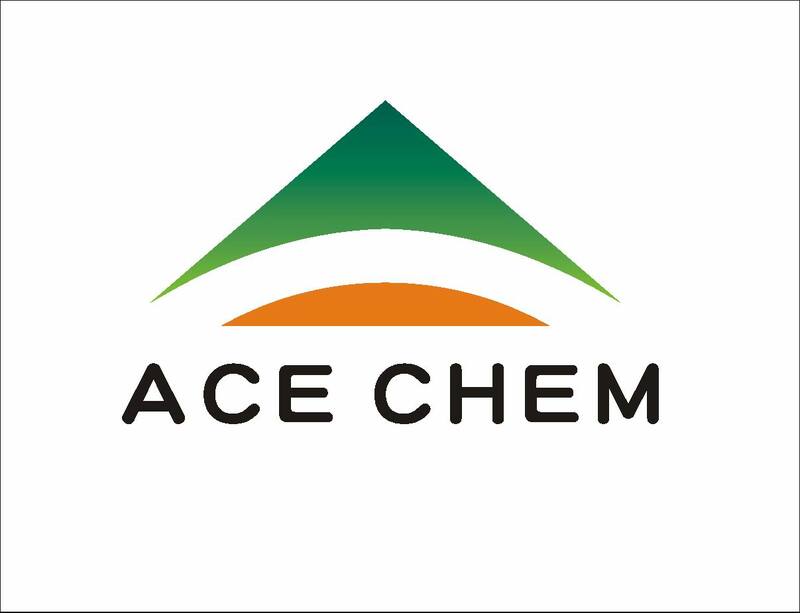 ACECHEM entered the Viet Nam market in 2009. Relying on excellent marketing operations and accumulated channels from the very beginning, ACECHEM maintains long-term business interactions, information communication and technical discussion with local importing companies, agrochemical associations (such as VIPA - Viet Nam Pesticide Association, and HACAS - Ha Noi Agricultural Association), Viet Nam’s Customs, the Plant Protection Department (PPD) and relevant authorities. In-depth exchanges, with respect to supply and demand dynamics, product use technology and terms, quality control and improvement has progressed to orient corporate strategies and development. 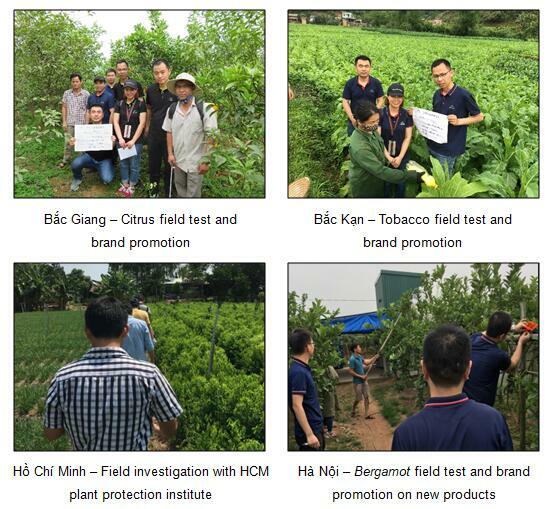 In view of market trends in China’s supplies becoming more transparent and tightening up, vs Viet Nam’s resistance risk speeding up, ACECHEM duly assigned sales, R&D, technical and service personnel to visit some of Viet Nam's significant distributors, dealers, farmers and agro-technical extension stations in rural and plantation areas from time to time. 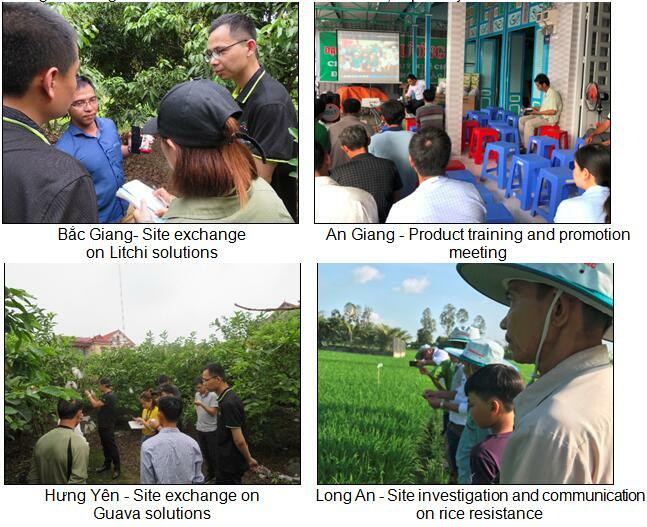 It was crucial to understand Viet Nam’s agricultural plantation dynamics and changes in agrochemical needs, and to approach end-users’ real use experiences and listen to feedback about current supplies, and to understand their appeal for upgrading the quality of products and their efficacy, as well as technical and service innovations. In 2016, ACECHEM incorporated the team of technical and registration professionals into its own sub-company of Viet Nam. 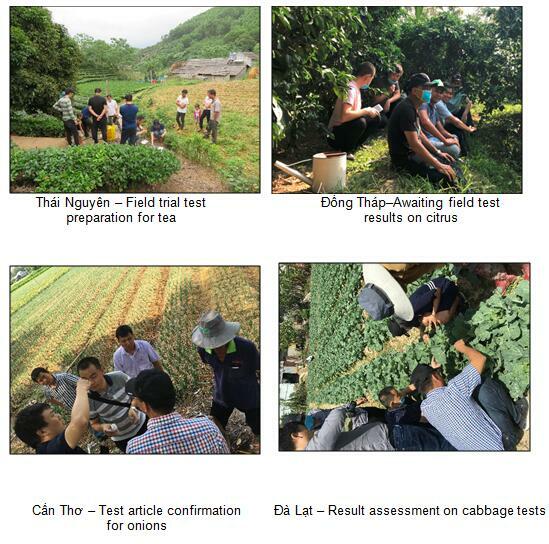 All technical service personnel, with excellent backgrounds in pesticides and plant protection, along with more than 10-years of experience in field trial tests and agro-technical extension, are from China and work in Viet Nam on a regular basis. Fully supported by China’s teams and resources, they work closely with Vietnamese registration experts to provide local partners and customers with one-stop services, ranging from field trial tests, product marketing extensions and promotions, agri-technical consultations and services, to product registration and certificate employment, custom imports and logistic operations, formulation processing, repacking and quality control, and other services. On the basis of domestic experience in integrated solutions and organic farming practices, ACECHEM concentrates on high-resistance integrated pest management and high value-added cash crop protection solutions. ACECHEM continuously develops new products, new formulas and new technologies with green solutions for their concerned projects, along with the necessary balance of staple crops. New concepts of modern agriculture for field management and agro-technical services are simultaneously introduced with ACECHEM’s efforts with branded practices to approach the excellent end-users’ experience and benefits. ACECHEM has preferentially selected a batch of crop protection products with unique formulas and remarkable bio-efficacy to ensure concentrated cash crops and balanced staple crops. 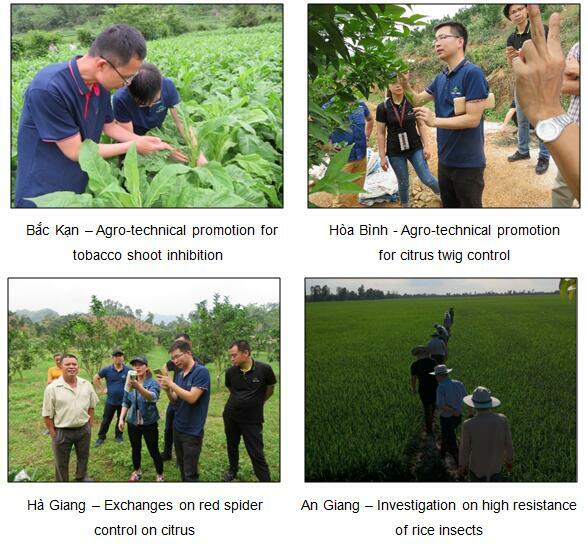 Contrast tests for field trials of such products are conducted in high resistant areas of China and Viet Nam. With comprehensive evaluations of product toxicity, resistance and residue, ACECHEM ultimately identified more than 20 products as the first lot for Viet Nam's registration applications. Further reviewing the practical need of integrated protection solutions, ACECHEM will gradually enlarge its product portfolio to establish some full sets of complete solutions for crops. ACECHEM perseveres in a large number of field trial tests in different areas throughout Viet Nam each year. Product formulas and use of technology are optimized with better quality and improved bio-efficacy, which specifically meet the differentiated needs of customers and end-users. Given the increasingly resistance risks in Viet Nam, ACECHEM devotes itself to ensure sustainable development in product quality and bio-efficacy on the basis of innovative thoughts and actions, consistent with its scheme “Manufacture a generation, Research a new one, Prepare and Explore a next one”. In addition to setting up Viet Nam’s sub-company, professional teams, platforms and product and trademark registrations, corporate soft power for ACECHEM brand building has also been strengthened for partners and customers’ identification. 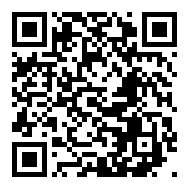 ACECHEM always takes an open and practical attitude to share product technology, quality and price information, and ensure quality products with excellent physico-chemical properties and field bio-efficacy. ACECHEM also scheduled various programs for end-users’ experiences. Local importers, distributors, dealers, growers and agro-technical extension stations are invited to visit factories and demonstration field bases to receive professional training and media interviews, to participate in seminars and observation tours. 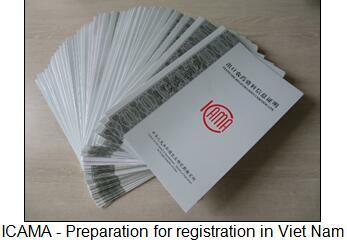 By this means, the understanding by all partners and customers about ACECHEM's brand has been gradually expanded. ACECHEM periodically holds different levels and forms of seminars and observation tours in Viet Nam, where they can openly discuss agrochemical research, manufacturing, use and management, and other subjects. Moreover, ACECHEM assigns technical teams to walk into rural and plantation areas for use in tracking from time to time. The technicians provide necessary training and promotion of product uses, field management and plantation technology for farmers and growers. This benefits mutual understanding and integration with different levels of customers, especially end-users. As a priority and long-term development objective, ACECHEM strives to develop appropriate ways and devices for biological and physical protections. A variety of organic pesticides, fertilizers and physical device products have been successively developed and promoted with significant European and Chinese organic farming accreditation. 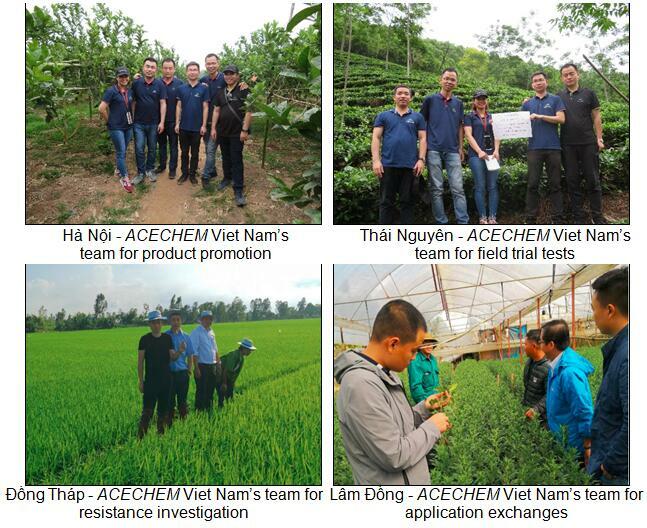 ACECHEM first highlights prevention for integrated management, and gradually forms sets of practical protection solutions for organic farming on the basis of cooperation with well-known growers and plant protection organizations in Viet Nam. In addition to building several long-term cooperative bases for field trial tests in Viet Nam, ACECHEM successively rents some 1000 m2 fields in Đà Lạt - Lâm Đồng, Phú Lương - Thái Nguyên, Bắc Quang - Hà Giang for field tests and demonstration management on cabbage, flowers, tea, citrus and other crops. It has also received access to explore suitable patterns of resistance prevention solutions and organic field management. Employing concepts and methods of modern agriculture, ACECHEM cooperates with nearby farmers, distributers and agro-technical extension stations for transferrable innovative solutions and product use training, which promises the possibility of increasing farmers’ yields and incomes. Meanwhile, ACECHEM is still researching and exploring aero-controls using modern agriculture patterns and spraying services in Viet Nam. “Your Crops, Our Care”. ACECHEM will, as always, gets close to its markets and customers through its superior understanding of their concerns and needs, gradually enriching its product portfolio registration based upon crop solutions by more professional teams and platforms, concentrating on resistance solutions and cash crops, performing field trial tests to perfect bio-efficacy, strengthening brand building and culture integration, organizing differentiated seminars and trainings, intensifying organic farming solutions, and renting demonstration field bases to explore modern agriculture patterns. In any case, ACECHEM continues working in agricultural supplies and services, concentrating on resistance solutions and organic farming, valuing its partners' and customers’ common growth and end-users’ experiences. Inspiring end-users’ demand through technical and service innovations, ACECHEM will continuously perfect solutions with new concepts and methods, to promote development of agriculture in modern agriculture patterns. Ten years goes as one day. As it has gradually received positive rewards in Viet Nam, ACECHEM is also thinking about how to deepen and transfer this business model to other countries in Southeast Asia and developing countries, especially alongside the Belt and the Road. Since the power of a company is limited, ACECHEM appreciates and welcomes new partners to come together for a common dream.